We all have that magic place — the place where we get to be the we that we don’t at home, the place where we should have been born, or moved by our parents if only they had the right judgement. For my mother, that place is London. My best explanation is that, as a Soviet immigrant, she cherishes the festiveness and ceremony — the monarchy, the accents, the history. My father proves the exception to the rule — he only wants to be left at home. After a lifetime of turbulence in the Soviet Union, he cherishes the very predictable ways of his lethally boring New Jersey suburb. As for me, I came upon my first vision of that place in 1994, in the least exotic setting imaginable: the local supermarket, which rented VCR tapes. 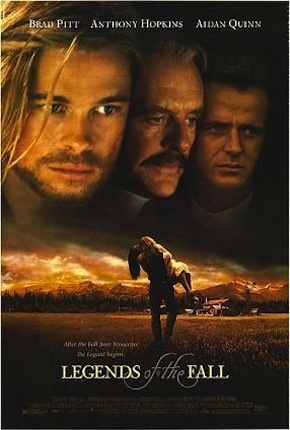 A poster on the wall advertised the film Legends of the Fall, its three leads — Brad Pitt, Anthony Hopkins, Aidan Quinn — arrayed against a romantic backdrop of gossamer mountains. It was Brad Pitt who got me — his ice-blue eyes looked appropriately tragic for this melodramatic 15-year-old. But theirs was the tragedy of a man doomed by fate, not the alienation I felt as an anxious, insecure immigrant kid. Here was a man in his element — a native. He looked the way I wanted to feel. 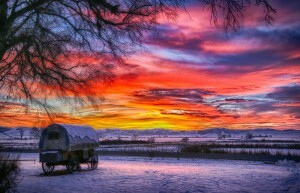 The movie was as tragic as advertised, but what really astounded me was the Montana landscape before which it unfolded. I had been born in Minsk, a flat, concrete city; immigrated to southern Brooklyn, New York, a low-slung brick jungle; then moved to suburban New Jersey, about which the less said the better. I was looking at landscapes of religious grandeur and splendour. I wanted to see them for myself. If only I managed to reach them, then I would feel like Tristan Ludlow, the character played by Brad Pitt. Why do we avoid testing our fantasies? I tucked mine away for the next decade and more, too easy because Soviet-Jewish immigrant children like me were supposed to spend time at their work desks, not traipsing around uncharted countryside — the very heritage, rural and barren, that my grandparents and parents had fought so hard to escape. But then, when I was a little older and bolder, I applied to the University of Montana for my master’s degree in creative writing. And got in. I flew to Missoula in April, 2007. I still remember the way the air smelled when I walked out of the terminal. It stung — of pine, of clarity, of the cold. The visit was everything I hoped it would be, but NYU offered me a better deal, and again I found something to value more highly than my curiosity. I returned to Montana the following year because my then-girlfriend was so tired of hearing me moan about it that she said, “Either you go — or I do.” This trip was even more meaningful — I tracked down Jim Harrison, the author of the novella on which Legends was based, at his home near Livingston, an hour north of Yellowstone National Park, an area so beautiful it’s what goes on the covers of the state’s travel brochures. After Jim and I spent two days talking, however, I turned around and returned to New York. And continued moaning about relocating to Montana. My girlfriend was devoted to a life in New York, and all this was no small reason we eventually split. And that’s the way it went — another visit in 2011, to Cooke City, an enchanted hideaway just outside Yellowstone National Park; in 2014, to Flathead Lake, the largest freshwater lake west of Mississippi, and a marvel so awesome that I returned in 2015. I never stopped talking about Montana; I even wrote a novel partly about it, and set in it — a transference if I’ve ever heard of one — but I never visited for more than two weeks. But this year, I finally did it. Not a full move, but enough time to take real stock of the place, and myself in it — three months volunteering on a permaculture farm at the southern tip of the Bitterroot Valley that runs south of Missoula, a nice bookend to my first trip. I am a month into it as I write this. I think about that line as I drive through this impossibly beautiful state, whose ugliest sunset is still a thousand times more spectacular than anything I’ve seen in nearly 30 years in and around New York. After a month here, I feel a little like the way I feel after a few days too long in Florence or Vienna: another church and I am going to kill someone. It’s beauty overload, and it’s as numbing as the complete absence of it. There are other challenges: in many other parts of Montana, I’ve found conversation and debate not only to rival New York’s, but to exceed it — often, western Montanans are libertarians in the truest sense of the word, that is, they think for themselves. And so you get environmentalist hunters, religious pacifists, housepainters who read Solzhenitsyn. In other words, you get individuals, and next to them, the predictable liberalism of New York feels boring. Also provincial, because just you try to get a New Yorker interested in what goes on in Montana. His notions are set. But a Montanan’s notions can be set, too. On this occasion, I’ve ended up in a place where reserve seems the norm. In a month here, my co-workers haven’t asked a single question about me (even as I’ve interrogated them endlessly about their lives), to say nothing about the intimacy of substantive self-disclosure, nor discussions of issues — the Presidential election, Brexit — beyond the farm’s needs. (I should concede that this kind of interaction is surely not as necessary for others, but for me, it is oxygen.) I’ve come to understand at least the first part of this as respect rather than indifference — people here mind their business, though they’ll help you at a moment’s notice if you need it. But the latter part has disappointed me — I miss the intellectual effervescence of New York, and of the other parts of Montana where I’ve encountered it. But is that what I encountered there? Maybe there, too, because I was visiting briefly I was merely scratching the surface — a tourist — and a longer stay would have revealed all the complications I’ve discovered here. I think about a friend who spent his twenties roaming the world only to return to Brooklyn. “Why?” I asked. “Every place is the same,” was his then-confounding answer. And then I think of an article I read several years ago in The New Yorker by David Owen about his father’s death. Having run out of deodorant on a trip, Owen buys a stick of Old Spice that he realises his father used. “And when I used it for the first time, in my hotel room,” he writes, “I was almost knocked over by what I can only describe as a physical memory of my father.” In the piece’s last lines, Owen wonders whether he should use the deodorant only on special occasions, lest the magic of the encounter be lost through the familiarity of overuse. I know that when I return to New York, I will re-encounter the intellectual vitality I miss here — along with a hundred other things that are the reason I’ve fantasised about moving to Montana for so long. Where is the answer, then? Life is only so long, and gives you only so many extended stretches to experiment. (Lucky are those for whom these matters are less essential to contentment.) All I can tell you at this point in the journey is that — unlike the political notion that your enemy’s enemy might be your friend — geographically, the opposite of what you dislike may not be what you’re looking for. 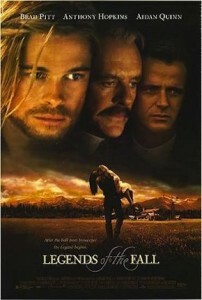 (It seems apt to mention here that Legends of the Fall, as it turns out, was shot not in Montana, but Canada.) And that, at least for someone like me, landscape alone isn’t enough — I need people. ‘Svoi’ (svoy-EE) people, as the Russian has it — ‘native’ people, for lack of a better word. Native to one, that is — to me. We are our own little countries, in a world of them. I’ve learned, too, that place, while not an insignificant factor, can’t singlehandedly deliver one from one’s discontents. One’s brain goes with him wherever he goes. 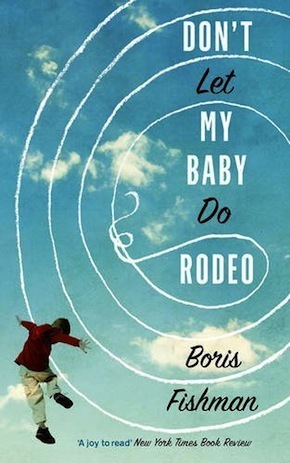 Boris Fishman’s new novel, Don’t Let My Baby Do Rodeo, just out from ONE/Pushkin Press, is about a Russian immigrant family in New Jersey that adopts a boy from Montana who turns out to be wild. 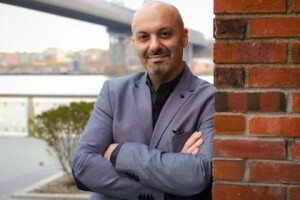 Read our interview with Boris about his debut novel A Replacement Life.